Onder de naam Interior Adventures For Real (IAFR), heb ik i.s.m. Harry Koopman een aantal meubels ontworpen. 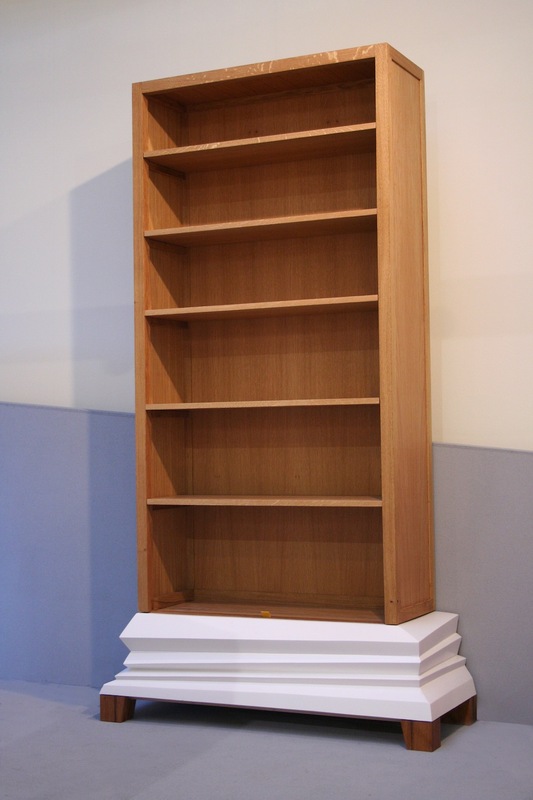 Eén van deze meubels is een boekenkast. Deze heeft een basis van keramiek, waarin je spullen in kunt opbergen. Bovenop de basis is eeneikenhouten kast gebouwd. Dit is een one-off protoype. Materiaal: eikenhout, keramiek / afmeting: 210x105x40 cm. English: Under the name of Interior Adventures For Real (IAFR), I designed together with Harry Koopman a series of furnitture. One of these pieces is the Bookcase. It has a ceramic base, which also holds a container for stuff you want to bury but don't want to throw away. On top of this base the bookcase of solid oak is placed. This a one-off prototype. Material: oak, ceramics / sizes: 210x105x40 cm.